Gorton's is a brand that has made repeat appearances on MBE. 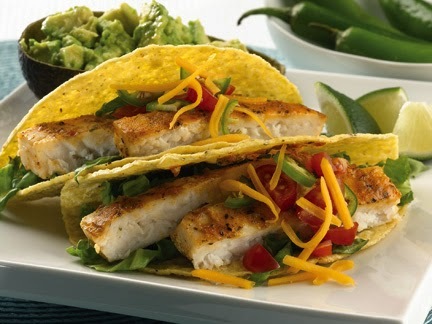 In my previous post about their extensive line of fish products, it was to showcase my original recipe for Skillet Crisp Tilapia Fish Mexican Fiesta. Then, last month Gorton's invited the public to participate in the 30-Day Realistic Resolution Challenge on SparkPeople.com. 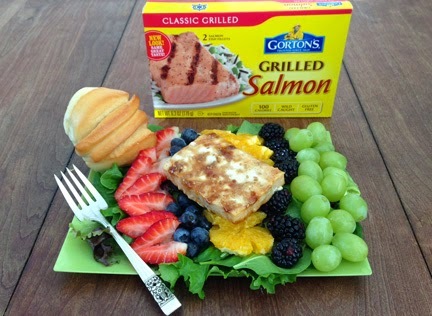 Now, in my continuing role as an ambassador for the brand, MBE is not only hosting another Gorton's Giftbasket Giveaway, I'm also pleased to tell you the news about Gorton's good-for-you grilled fish collection and to share a new MBE exclusive recipe that incorporates Gorton's Classic Grilled Salmon: Grilled Teriyaki Salmon Rainbow Fruit Salad. Gorton's Grilled Fish perfectly-portioned protein-packed products make it easy for you to continue keeping your new year resolutions to eat healthy food. 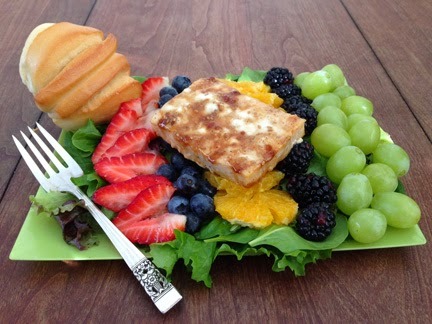 In fact, the Classic Grilled Salmon Fillets variety that I used to make the dish above are wild caught, gluten free and only 100 calories each with two fillets per box. With its rainbow of colors and high anti-oxidant fruits, this is good any time of year but would be particularly in theme to serve as your main course for St. Patrick's Day lunch or dinner. Gorton's Gluten-Free Grilled Fillets -- which come in 11 gluten-free varieties including Tilapia, wild-caught Salmon and Alaska Pollock -- are low fat and 100 calories or less per serving. 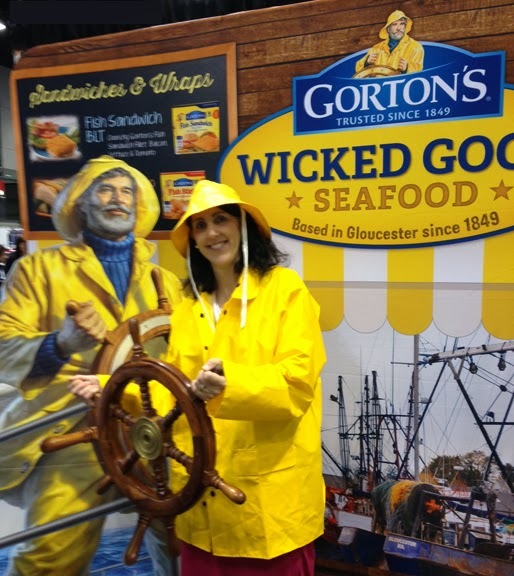 Founded in 1849, Gorton's, one of the oldest continuously operating companies, is committed to sourcing responsibly through their Trusted Catch program, protecting and enhancing the sustainability of seafood resources. Learn more about Gorton's Gluten Free Grilled Fillets and the rest of Gorton's seafood fish products here. In addition, you can discover more mouth-water recipes and serving suggestions and find out about everything Gorton's is doing by visiting Gortons.com as well as following them on Twitter, Facebook, Pinterest and Instagram. FTC Disclosure: This is a compensated post and I received products to facilitate this review and the associated gift basket giveaway MBE is hosting. Gorton's Seafood is providing the prize package and shipping for the giveaway. However, thoughts in this blogpost are my own. See complete FTC Disclosure information that appears at the bottom of MommyBlogExpert's main page and at the bottom of every individual post on this blog, including this one.